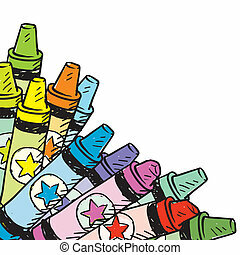 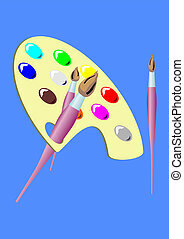 Artist's palette sketch. 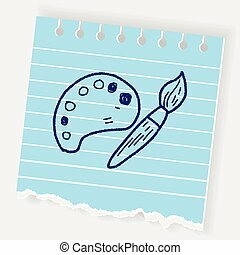 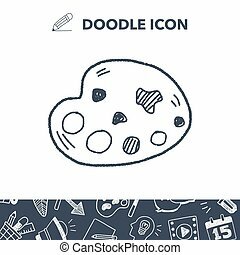 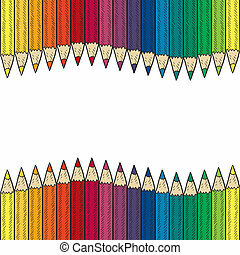 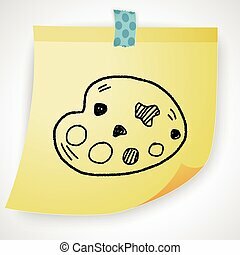 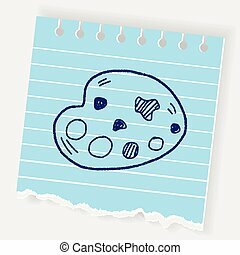 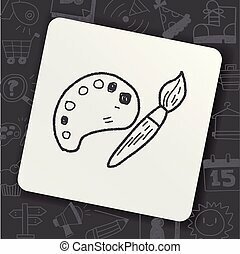 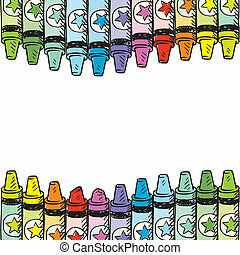 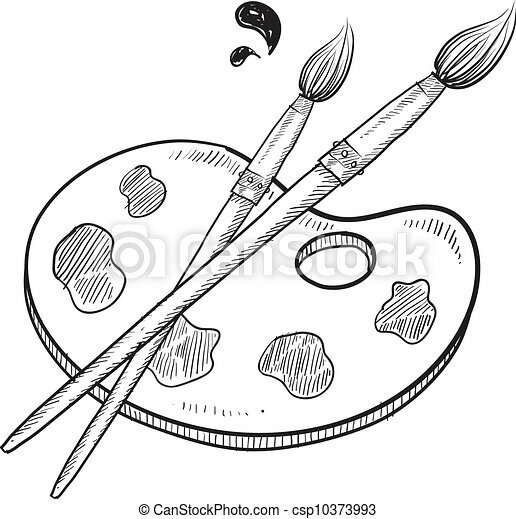 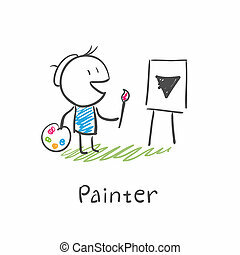 Doodle style artist vector illustration with paintbrushes, palette, and paint. 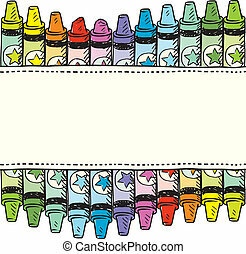 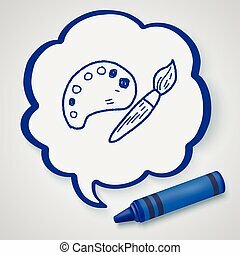 Palette with paints and brushes on the blue background. 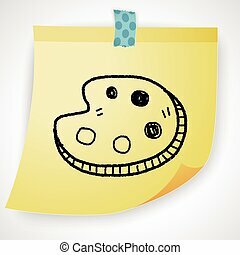 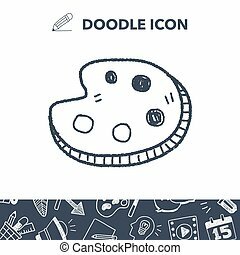 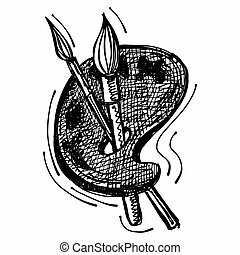 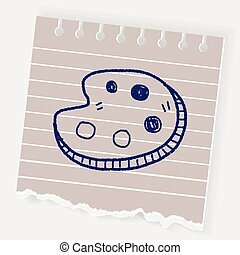 Artist painting palette icon in doodle sketch lines. 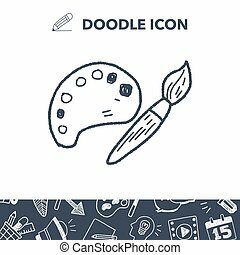 Doodle style spray paint illustration in vector format. 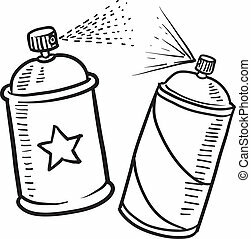 Includes text and paint can.